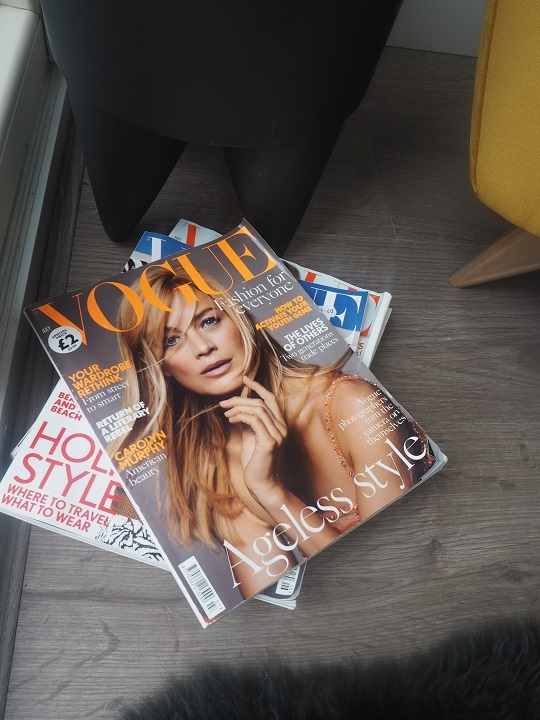 If you remember back in June I headed to London to have a first look at the DFS Capsule collection along with five other lovely bloggers. 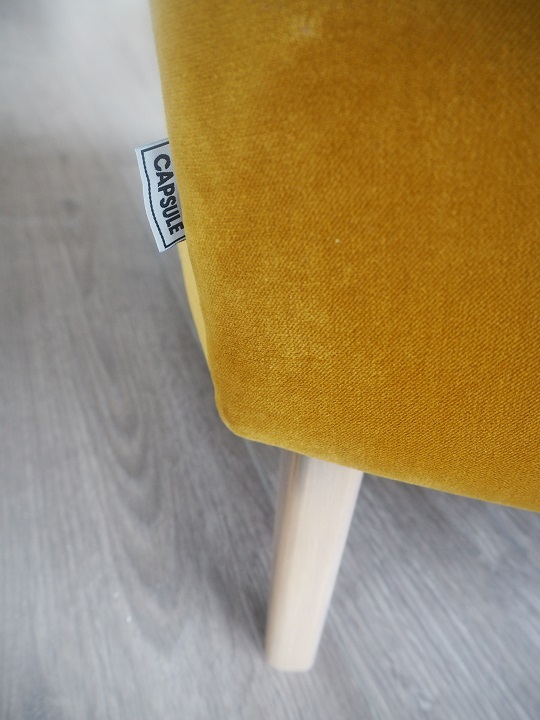 The collection consists of three armchairs, four styles of sofas and three footstools – (You can see all the photos here from my previous post) all available in 45 different fabrics, from velvet and suede to brushed cotton. This means that everything is completely personalised to you, and subsequently made to order just for you! The chairs and sofas even come with removable arms and compact widths to ensure that they get into any entry way, doorframe or stairs. 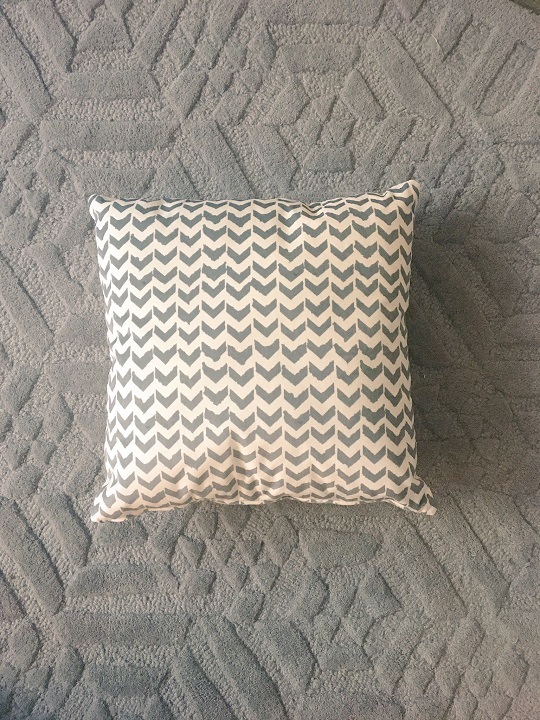 It also consists of printed cushions and I received the cushion I got to design in London, in velvet grey and white chevron (see above)! All my interiors wishes came true when DFS asked me to choose a piece from the capsule collection and style it in my house. I was difficult to narrow down (everything is so fabulous!) 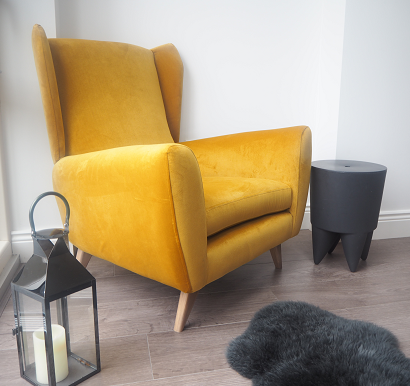 but I eventually decided on a mustard yellow armchair- the Calm wing back chair (€556) in velvet. 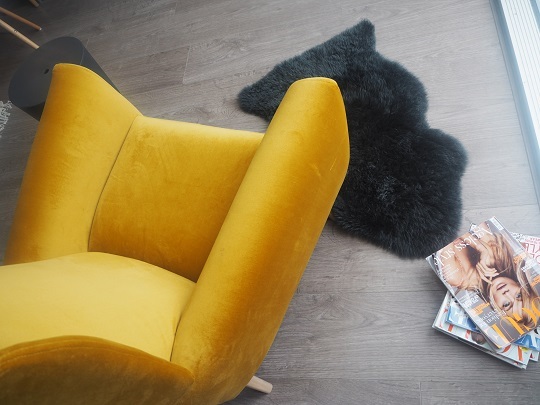 Even with all the fabrics available (all forty five of them, including child-friendly, washable ones), I still went for velvet as the mustard hue was so gorgeously golden when I saw the chair up-close and I am a sucker for gold colours and luxurious feeling interiors, I must admit. I’ve been thinking about a reading corner some time now and had left a space in the kitchen unfurnished, for this very reason. I’d looked at so many armchairs but in the end, once I saw the Calm chair by DFS, I knew this would be perfect. 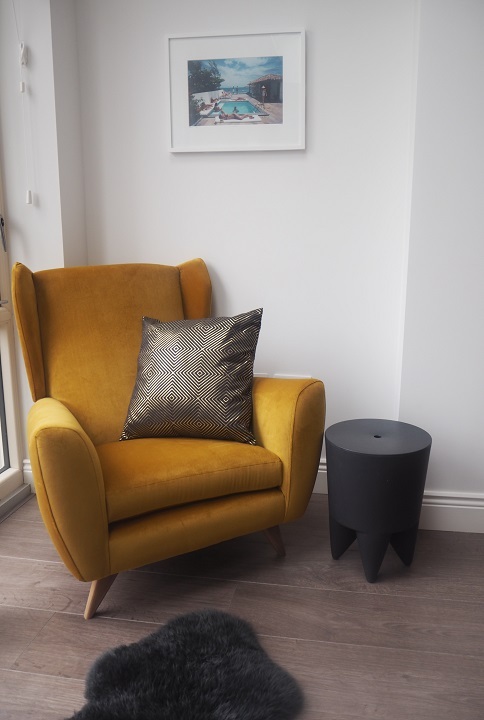 The chair has been endlessly road-tested by us and any visitors who come to the house and all have agreed that the chair is very comfortable to sit in– it’s really hard to find a comfy armchair these days you know! The light floods into this corner during the day and in the evening it’s a haven to escape to if I want to get away from the TV room and catch up with my thoughts or read. Unfortunately the day I took the pictures it was raining and grey! The Philippe Stark stool was a gift from my sister. Truth be told Ruby loves it too and keeps gravitating towards it, including to eat food while sitting on it, so I may have been too ambitious with the velvet and keeping it clean but I am beyond thrilled with how the chair and the reading corner have turned out. 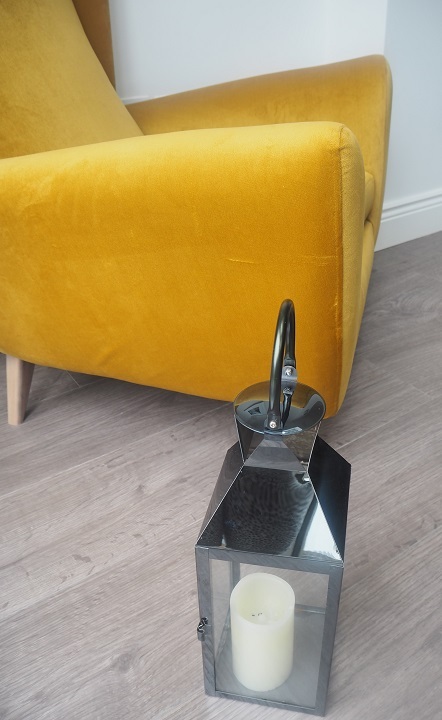 I’d love to pair it with a matching velvet hexagonal footstool (like they did at the DFS launch in London) so this is next on my wish list to complete the space. 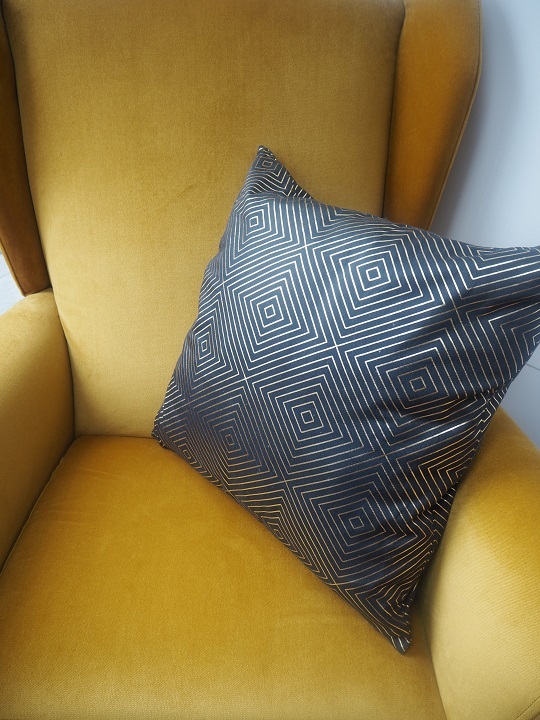 I love the art deco vibe the hexagonal print gives (the cushion above is HM Home which I picked up in New York). The print is Slim Aarons (bought at Yellowkorner ). What do you think of the Calm chair? Would it be your choice? DFS capsule is available online and in DFS Carrickmines from 12th September. *This post is in collaboration with DFS who gifted me the chair. As always the photos and opinions are my own.